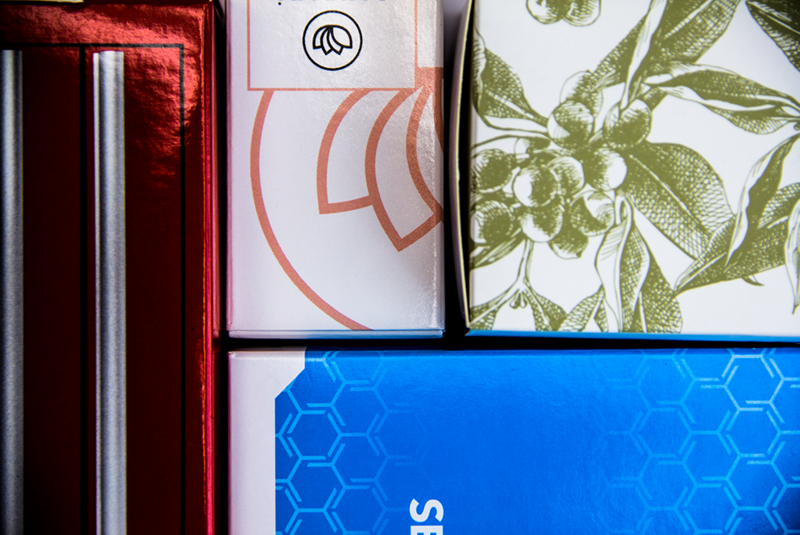 There are lots of options for standard and speciality finishes available today for packaging box designs. And the truth is, especially for startups and new entrepreneurs, it can be confusing, overly technical, stressful, and overwhelming. Luckily, in this guide, you will learn how to choose the right coating based on the compatibility with your overall packaging specification (material, design and cost). So before you decide on a coating for your packaging, we suggest you read these tips below. We’re here to arm you with all the information you need before you make your decision! Since paperboard is widely known for its flexibility, versatility and usually used to showcase products on retail stores, designers tend to be more creative with the finishing to get the attention on the shelves. Laminated paperboard boxes are considered to have the best quality but are typically more expensive due to its protective properties. Compared to other coating types, lamination provides the best protection from moisture. Long-run projects also typically prefer to use lamination due to its longevity and dust resistance. It makes sense since you’ll be storing thousands of packaging that may not be used instantly. Another advantage of lamination is its artwork output. When you see that beautiful matte box in Sephora or Holt Renfrew in many beauty products, the chances of them using lamination is quite high. Luxury products tend to choose matte lamination to achieve the simple yet elegant look and use gloss lamination to achieve a vibrant and striking appearance. If you’re looking for a less expensive option, you might want to consider low gloss AQ coating. Since AQ is water-based, most AQ coatings can be considered as food-safe. (please check with your manufacturer to verify their FDA compliant AQ coating). AQ is widely known as the default of all coatings because of its price and effectiveness. It provides a low gloss sheen that gives a bit of texture to the packaging but not too much that it distracts the eyes. Ultraviolet Coatings (or UV coating), on the other hand, generates a glossy appearance just like gloss lamination. UV coating is much more eco-friendly but it doesn’t match the strength and protection that lamination provides. Lamination is more tear resistant and is better equipped to protect the packaging during shipping. UV is still a popular choice, however, as it adds maximum vibrancy to the packaging, it is quick to produce and has a lower cost per unit. You can see the difference in paperboard coating up close. Corrugated cartons are widely used for shipping and e-commerce packaging because of its thicker and sturdier material. These types of packaging can be coated similarly to paperboard (with AQ excluded). Particularly for low to medium-runs, these are the better options. Why? Digital printing for packaging is typically used to print small to medium sized projects for corrugated packaging to increase production efficiency, generate a faster turnaround time and, of course, lower unit cost. Since these boxes are mainly for shipping and transporting, embellishments on the packaging and expensive coating are typically not required. This is changing, however, due to the phenomenon of unboxing experience videos. Businesses are becoming more inclined to add more design elements to their shipping boxes to leverage marketing opportunities. In addition, because the thickness of the corrugated material is enough to protect the products inside, the additional coating may not be needed. Depending on the complexity or simplicity of your colours and artwork (and your branding), you could still produce a high-quality packaging box with a low gloss varnish or no coating at all. Similarly to paperboard packaging, a laminated coating provides your box with the ultimate protection on your artwork. Businesses that use lamination on their shipping boxes are usually ones with very intricate details on their packaging and use it as a means to fully maximize their artwork appearance that digital printing can’t do. The only disadvantage with gloss lamination or UV coating is that the ripples of the material become more prominent. Simplicity, minimalist, luxury and expensive is the typical characteristic of rigid box packaging. It is a no-brainer that matte lamination is the most popular choice for this type of packaging. Matte lamination is the most recommended coating for luxury boxes. For one thing, the appearance of this particular finishing is widely known for its elegance and class (which is typically what most luxury brands want to achieve). 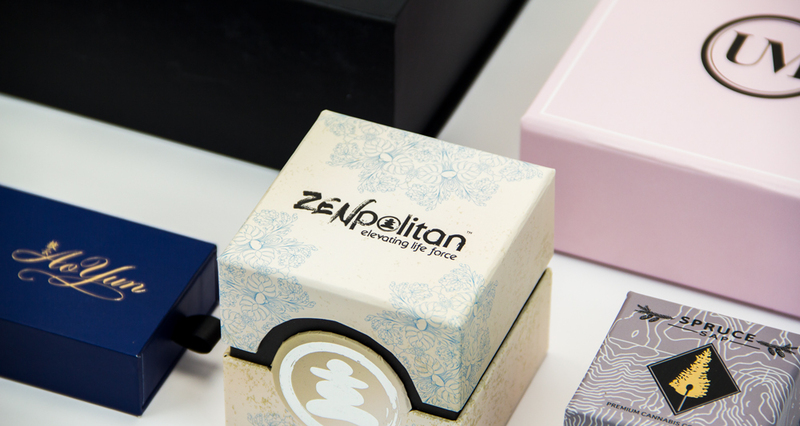 It is also the best coating to use when incorporating special processes into your boxes such as embossing, foil stamping and spot UV. If you simply have more than enough budget to invest in your packaging design that requires more unique elements, you can also opt for special coatings. These types of coating are recommended for long-run orders due to its extra costs. However, if budget isn’t a problem, why not! Choosing the best coating for your product’s box packaging definitely requires your time and attention. You still have to do your homework and continue to communicate with your manufacturer to find the best fit for your packaging. Remember, a well-prepared plan for your packaging will make your life a lot easier. Have a solid idea of what your brand, your objective and your budget is first. From there, you can have a better sense of the overall packaging including the coating and additional finishing that is right for your packaging! Require more assistance and need more clarification on the different types of coating? Contact us at PakFactory anytime!